News Whose community is it anyway? The theme for Learning Disability Week 2019 is ‘Community – Active, Connected, Included’. The word ‘community’ means something different to each of us, so as part of our exploration of what it means to be ‘active’, ‘connected’ and ‘included’, we’re asking people from all walks of life to give us their perspective on what community means to them. “The lives of people with learning disabilities are changing. 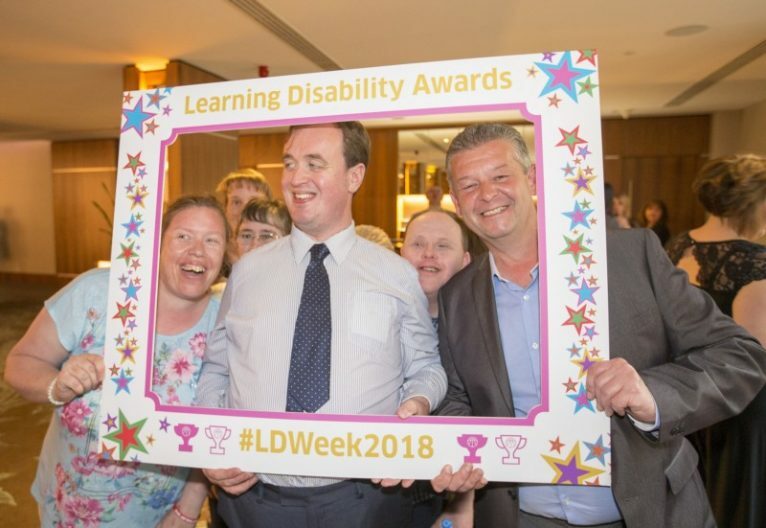 The burgeoning alumni of Scotland’s learning disability awards, since their inception in 2017, are a powerful testament to that. Along with the 2016 recipients of six lifetime RSA fellowships for people with learning disabilities in Scotland, they provide compelling evidence of the talent and potential in our midst. People with learning disabilities are dancers, artists, entrepreneurs, athletes — they have a multitude of talents. They coach swimming, teach computer skills, run pipe bands — they write music and books. They work with older people, younger people, people like themselves — they strive to give something back to their communities. Look no further than the Shopping Buddies, Community Champion winners at the 2018 awards, for proof of that. But who knew? Not enough of us. Yet. The truth — staring us in the face — is that people with learning disabilities not only do the same things the rest of us do. They also do things many of us can’t do. Take Lewis Drummond, the Creative Achievement winner this year. Lewis is a composer. How many of us will ever be that? It’s just twelve years since the last long-stay hospital closed in Scotland. And in some ways the social landscape is unrecognisable. When we moved care into the community, people came too. No longer hidden from public gaze, people with learning disabilities are all those things and they’re in our communities. But are they really? Where are they — and what does that mean? The theme of next year’s Learning Disability Week in Scotland, just announced, is Community — Active, Connected, Included. This isn’t just for people with learning disabilities, their carers and families, or for the learning disability sector. It’s an opportunity for all of us to think — where are the people with learning disabilities in our communities? No longer hidden from public gaze, people with learning disabilities are all those things and they’re in our communities. But are they really? Where are they — and what does that mean? Community means something different to each of us. And we all belong to different communities — where we live, where we work, what we do, who we are — any and all of these things. Activity, connection and inclusion aren’t mutually exclusive either. They’re a virtuous circle. Our ability to participate depends on being included. And the connection that brings is what makes us thrive. Even the introverted among us — and I am one of those — needs the validation, solidarity and comfort that connection brings. This isn’t to deny the importance of the transactional. The state, public bodies, providers of all sorts have their piece to play. Effective service delivery creates a lifeline. Valient efforts to make those transactions the best they can be are underpinned by a panoply of policy. It’s all good stuff. And policy outcomes matter. But people with learning disabilities tell us with increasing urgency — a safety net is fine, but it’s not enough, we want to contribute. And that’s a message for all of us. We can’t ‘other’ the responsibility for inclusion. It’s our communities people have been excluded from in the past — so we need to play our part in fixing that. Communities can be of interest or locality. But we have to guard against the trap that people with learning disabilities are a community of interest in themselves, by themselves, who just need quietly nurturing at the margins while the rest of us get on with our own lives. The virtue in the relationship between activity, connection and inclusion will be at its most powerful when communities of interest are nestled in localities. It’s our communities people have been excluded from in the past — so we need to play our part in fixing that. My running community is national, even global — but it comes into its own when I run with members of my local club through my city’s streets. The connection we have goes way beyond running — even though we are obsessives! We’re a mixed bunch — in our ability as runners and so many other ways. So our shared endeavour provides a space where we encounter people who are different as well as the same as us. It’s richer for that — and we are too. And we’ll be better off if people with learning disabilities are part of our communities — doing all manner of things among us and with us. But as Lewis Drummond’s mum reminded us at this year’s awards, for that to happen, we need to open the doors to people with learning disabilities. Our communities have to be theirs too. With no them and us. Our communities have to be theirs too. With no them and us.